I love to walk through sporting goods stores and marvel at all the beautiful specimens. 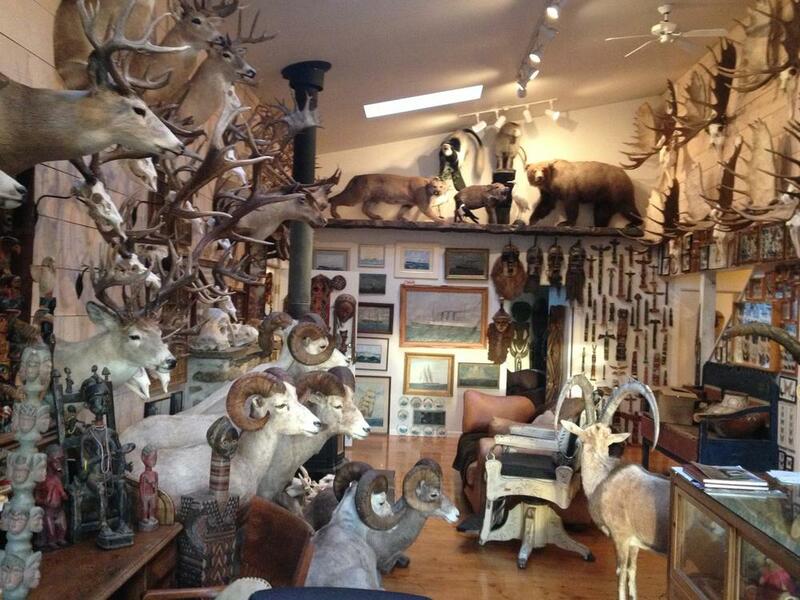 What sportsman doesn’t envy the trophy rooms of professional hunters like Jim Shockey! The vast majority of us can’t afford to dedicate the amount of space and money needed to have such an extravagant trophy room, but most of us believe that trophy care is something that honors the life of the animal. Having something tangible commemorates the experience in a way that pictures just can’t do. Taxidermy is a beautiful art form, and I have tremendous respect for the men and women who do this for a living. Someday, hopefully soon, I plan on utilizing their services, but only when I harvest an exceptional animal that deserves a full body or shoulder mount. Most of the fish, birds and mammals I have been blessed to harvest have not been that remarkable. Don’t get me wrong, I am very grateful for all of my experiences and the abundance of delicious, healthy protein! With that said, I simply can’t afford to have a professional mount done for each new trophy. I prefer to use as much of my expendable income as possible on my next experience, but I still love to have something tangible to honor my latest experience. 1) Remove as much hide and flesh from the skull as possible. This is a time consuming, and may require several different tools. I used a knife, a small flathead screwdriver and pliers. If the head is dry (deadhead) or has been frozen it will only add to the difficulty, so clean it when you butcher for best results. Don’t let it sit out too long or the smell may get you evicted! Some people use a pressure washer to remove the flesh, if you do, be sure to wrap your antlers with duct tape so you don’t remove the natural stain of the antlers. 2) Add OxiClean to a large metal wash tub and bring to a simmer. In Kansas you can purchase a metal wash tub at a local farm store, but this item may be harder to find depending on where you live. I used a side burner on my propane grill, but you can also use the heating element from a turkey fryer or build a wood fire. No matter what method you use….DO IT OUTSIDE! After boiling the skull in the wash tub for approximately an hour, remove the larger pieces of cooked flesh and cartilage. Then use a wire brush and other small tools to clean the cracks in the skull and around the bases of the antlers. A long screwdriver or coat hanger can help clean out the tissue inside the skull. Make sure the skull is cleaned well…inside and out. If necessary, return the skull to the boiling water until all soft tissue is removed. Next degrease the skull with a basin full of soapy water, or the kitchen sink if you’re brave. After the skull is cleaned and dried, you’re ready to bleach the bone. Honestly, going into the hair dresser’s supply store (i.e. Sally Beauty Supply), to buy the bleaching ingredients, was the hardest part of the project. When I finally mustered the courage to ask the clerk for guidance she knew exactly what I needed, so evidently other guys had done this before. These were the items I used: a dry powder lightener known as “basic white,” V. 40 peroxide cream, latex gloves and a small brush. Put on your gloves, combine ingredients according to the package directions, and then paint on the bleaching paste on the skull with the small brush. Be careful not to get any on the antlers! This step doesn’t need much explanation, but I would offer a caution. Too much whitening can cause the bone to actually get thin and brittle. So two coats on the skull for about 20-30 minutes each time should be good. Some people like a shiny look, others don’t. You choose! Once you have achieved the desired look, let the skull dry thoroughly. Now display your skull! There are some great hooks and hangers on the market, or you can attach it to a board of your choice. I chose to use a weathered piece of barn wood to accentuate this gnarly, old buck. By using this process you will have a great trophy from your latest hunt and more hard earned resources to put toward future experiences or future months with The Sportsman’s Box!